Episode 21: Krysta Jones 'Get Out of Your Comfort Zone' — What Would Alice Paul Do? League of Women Voters of Charleston SC’s voter registration work in beauty shops. See “Beauty Shops Becomes Prime Ground for Voter Registration Efforts” by the Post and Courier. 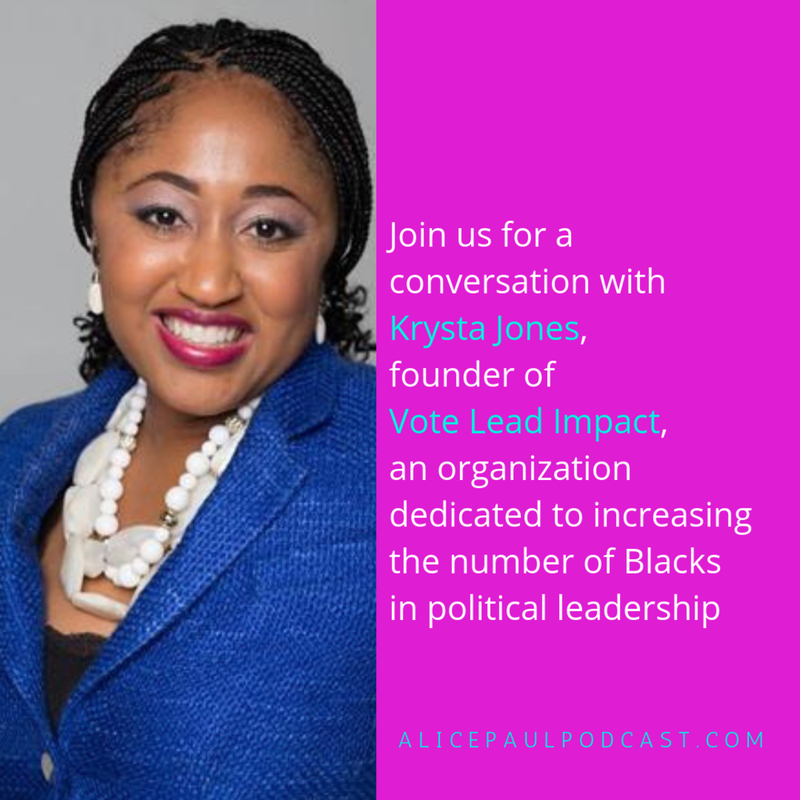 For our Deeds Not Words segment, Amy interviews Krysta Jones, a powerful voice for inspiring and creating space for Black leaders in political leadership. She founded Vote Lead Impact, and she advocates for women’s socio-economic status issues, and has served in the leadership of several women's organizations including the Arlington Commission on the Status of Women, Women's Vote Centennial Initiative, Women's Monument Commission, Zeta Phi Beta Sorority, Incorporated, and the Junior League of Northern Virginia.